More than 34 million adults in the U.S. do not have a high school diploma. 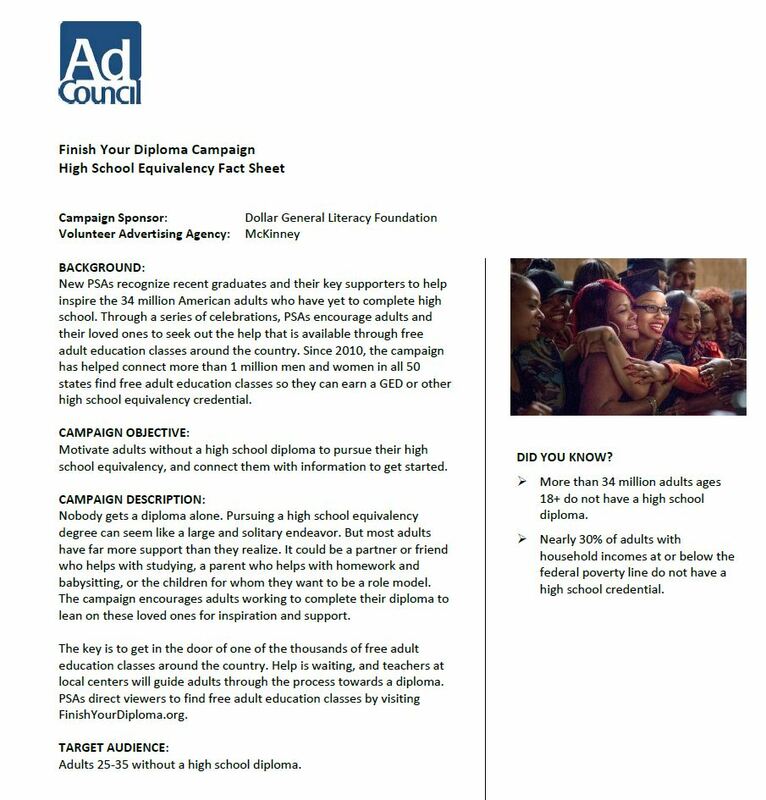 The Finish Your Diploma campaign seeks to reverse this critical issue by encouraging those without a high school diploma to take the first steps toward a better future and sign up for free adult education classes in their area. 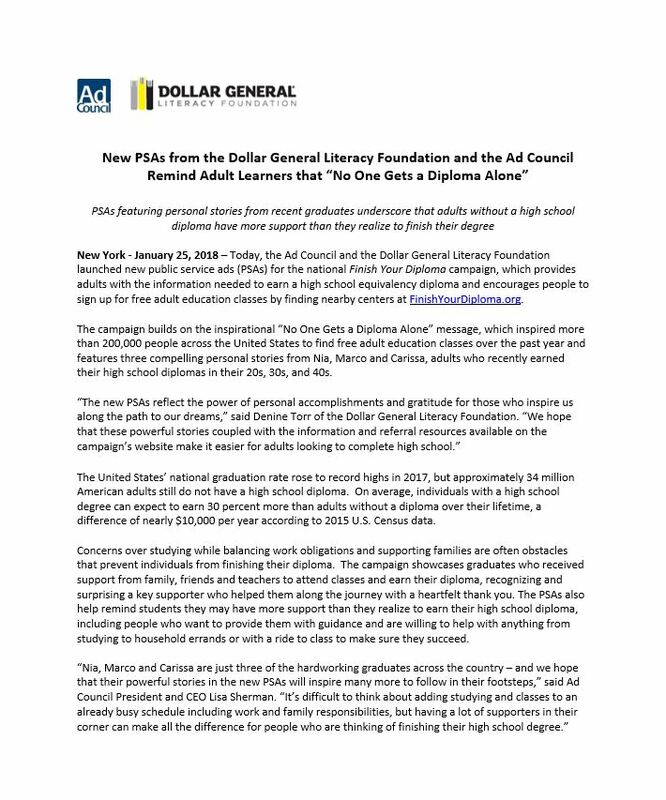 The campaign celebrates the hard work of adults who have recently finished their high school diploma – and inspires adults who have yet to complete high school. By highlighting the relationships between recent graduates and those who support them, the PSAs encourage adults and their loved ones to use the help that’s waiting through free adult education classes around the country. 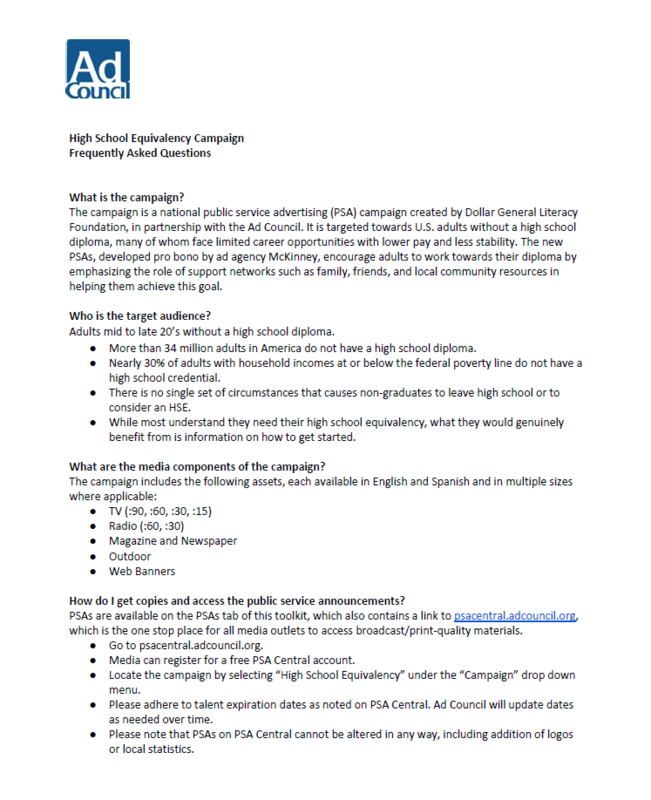 This one-page fact sheet includes background information on the Finish Your Diploma campaign. Find answers to frequently asked questions about the Finish Your Diploma campaign. This press release was issued on January 25, 2018.